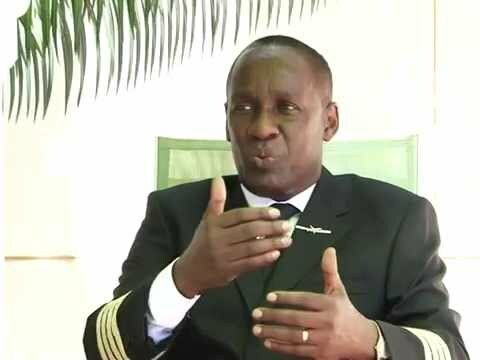 KAMPALA– The Civil Aviation Authority (CAA) has Thursday Morning dismissed claims by NRM’s vice chairman eastern Uganda Captain Mike Mukula that his Uganda Aviation School (UAS) was denied an air operator certificate (AOC) to run aircraft in Uganda. Capt. Mukula, took to social media to accuse the CAA over system failure and that he had been frustrated for over three years by CAA after being denied an AOC. “I have finally taken a decision to relocate all our aircraft to Kenya having been frustrated by the Uganda Civil Aviation Authority to obtain an AOC. “Kenya issued it in one week. This equipment has been on the ground for over three years; fully maintained and paying parking fees. #systemfailure,” Capt. Mukula wrote on Twitter. However, in a statement issued on Thursday, CAA claims that the UAS didn’t apply for the AOC certificate as Mukula alleges on social media. “When AOC applications are received, they are reviewed and only those which comply with stipulated regulations are granted. Uganda Aviation School applied and was granted an air services license (ASL) for aviation training not for an AOC. A copy of this is available,” CAA wrote. CAA also claims that UAS applied for an aviation training organisation (ATO) specifically focusing on cabin crew training with a view of expanding later to flight training subject to fulfillment of the regulations. “Unfortunately, the school couldn’t fully satisfy the cabin crew (ATO) requirements because cabin crew training is air operator based (practical not just theoretical). “The ATO application did not have an appropriate aircraft for cabin crew practical demonstration,” CAA added. However, Capt. Mukula has kept his stance on social media accusing the authority of misleading Ugandans.